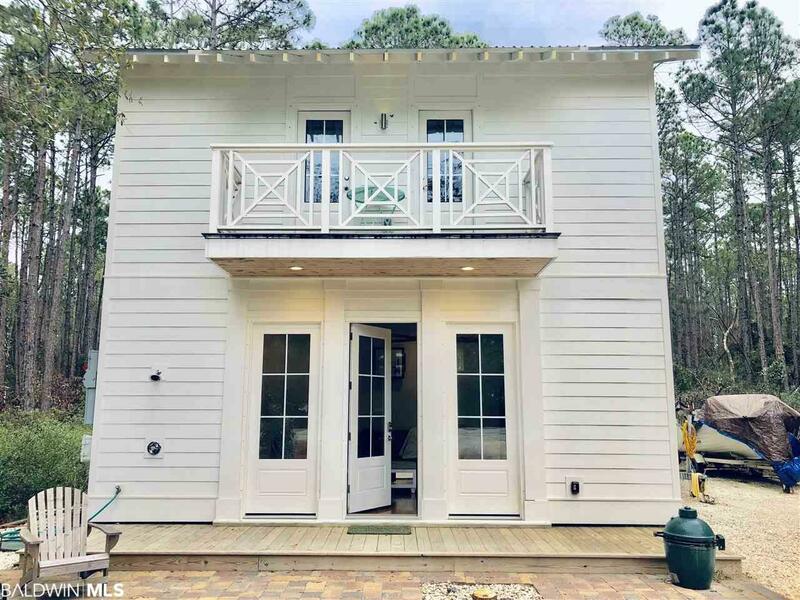 Have you ever wanted to live in Point Clear? This beautiful one bedroom one bath cottage was built in 2016 and did not skip out on character. The front porch welcomes you in to the living area which offers high ceilings, beautiful hardwood floors and windows on every wall giving this home an abundence of natural light. The kitchen has all stainless steel appliances, beautiful large cabinets, granite countertops and built-in washer/dryer area. Head up the spiral staircase to the master suite and sitting area surrounded by windows with views that give you that tree house feeling. Enjoy the balcony for a late-night glass of wine, or an early morning coffee. Perfect opportunity to enjoy Point Clear and what it has to offer. Great for walking or bike ride into town. Located just 4 miles from the Grand Hotel and 8 miles from Downtown Fairhope. Information deemed reliable but not guaranteed. Directions: Go South On Scenic 98, Home Is Located 1.4 Miles Past Bailey&apos;s Creek On Your Left .